Langrisser may not be a household name exactly, but to longtime fans of Japanese SRPGs the series is every bit as essential as Fire Emblem, its closest point of comparison in terms of longevity and reputation. 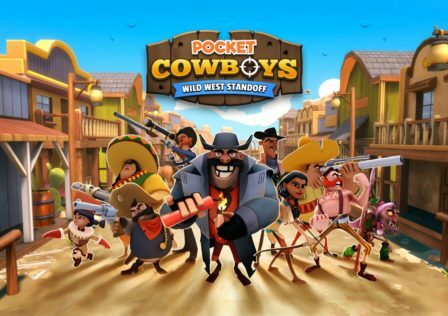 Developer Zlongames has seemingly thrown everything at this mobile continuation of the long running series, drafting in more than 30 notable voiceover artists, including series regular Ryotaro Okiayu and original score composer Noriyuki Iwadare. And it shows. Langrisser Mobile is a stunning mobile game, with gorgeous character art, a polished 3D world map, and a first rate soundtrack. It’s even possible to listen to the dialogue in English. We can’t speak for the Japanese dialogue, because we can’t speak Japanese, but the English is solid. This is a good sign, since translation and localization are often the places where savings are made. 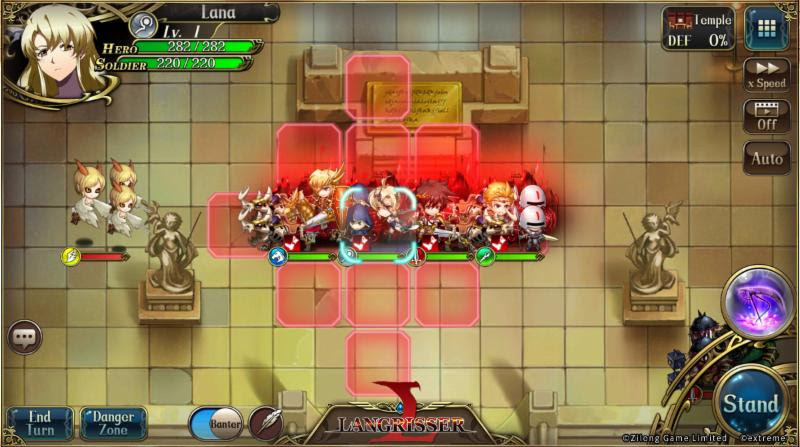 In terms of gameplay, Langrisser Mobile will be familiar to RPG players new and old, as it blends the tight, story-driven strategy-RPG gameplay of yore – including an impressive 300 levels from previous Langrisser games – with the gacha mechanics of modern free-to-play mobile RPGs. 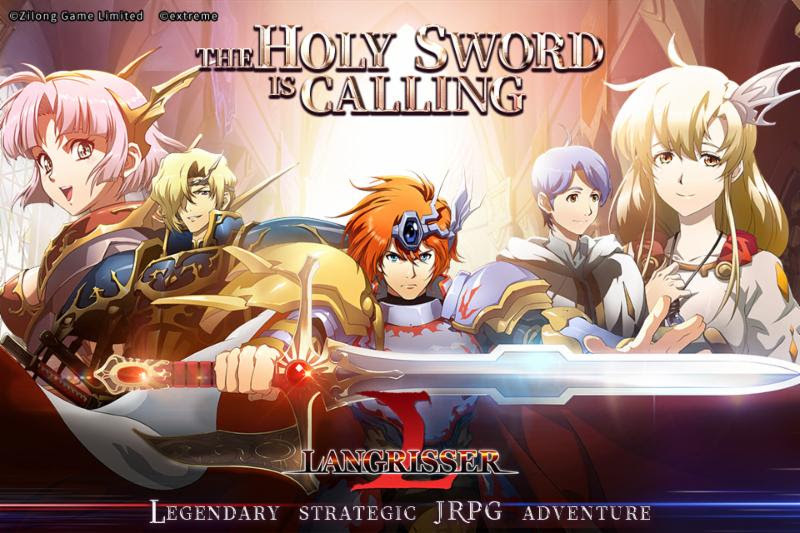 The story sees you once again heading off in search of the legendary sword known as Langrisser, with engaging and distinct characters like Elwin, Leon, Cherie, Bernhardt, Ledin, Dieharte, and others in tow. This means gradually progressing across a world map, but not in a linear fashion. There are detours and optional fights to pick along the way for a bit of extra loot and XP, plus boss battles for bonanza rewards. 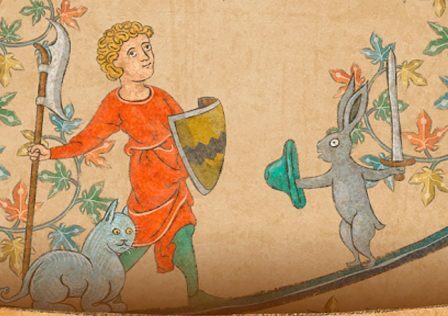 Fights themselves begin with a planning stage, where you get to check out your enemy’s forces and rearrange yours accordingly. Langrisser works on the classic rock-paper-scissors model, where certain unit types are effective against one and ineffective against the other of their opponent types. In this case, cavalry is stronger than infantry but weaker than lancers, who are in turn weaker than infantry. Fliers are more effective than most units, but weaker than archers, and so on. Once you’ve got your troops where you want them you can attack. Battles are turn-based with a limited number of turns, and in each turn you get to move your units a certain distance, attack, and use skills. The maps vary in size and layout, but the path to success is always to use the terrain tactically, finding cover, retreating when vulnerable, and taking advantage of terrain effects such as the defense boost you receive when fighting in the woods or mountains. These terrain effects are unit-specific, so that woods inhibit the movement of cavalry but not infantry, for example. 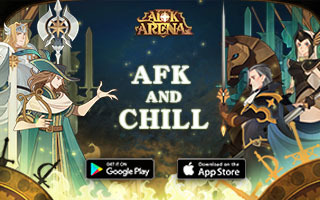 After every battle you’ll receive a chest of random loot, and you can plough what you earn in loot and XP into summoning new heroes and weapons, equipping and forging those weapons, and upgrading your heroes. 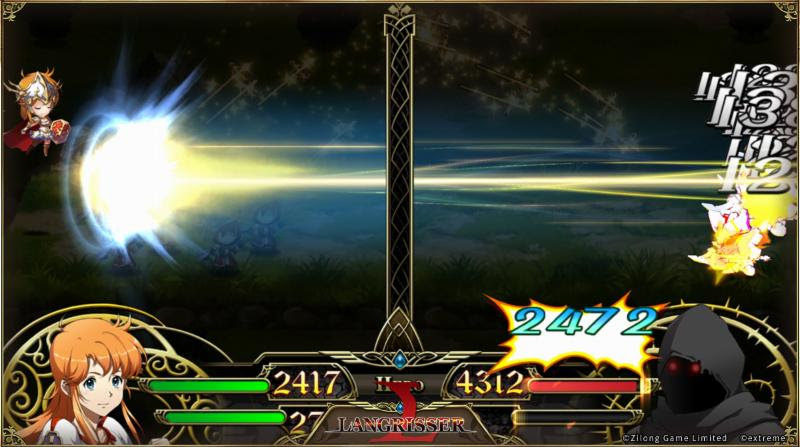 Interestingly, Langrisser Mobile lets you upgrade each character’s class using a branching upgrade tree. 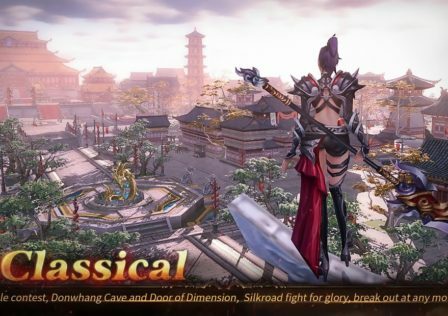 For instance, a character that has mastered the fighter class can become a sniper, a swordsman, or a dragon knight, all of which in turn have their own progression paths. This adds a degree of dynamism, since the role of a character can change over time. Otherwise, Langrisser Mobile has everything you’d expect from a modern mobile MMORPG, including a friend system, chat, and PvP. Between that, the hundreds of classic Time Rift stages, and the massive story campaign, there’s always plenty to do. But quality is more important than quantity, and it’s here that Langrisser Mobile really stands out. You can download it on Google Play right now.